A couple of weeks ago I decided to sweeten my already sweet grandchildren by making them into gingerbread children as fun place cards for when they sit down to dinner on Christmas day(I still need to add their names on the white platforms). I hope they like their surprise! 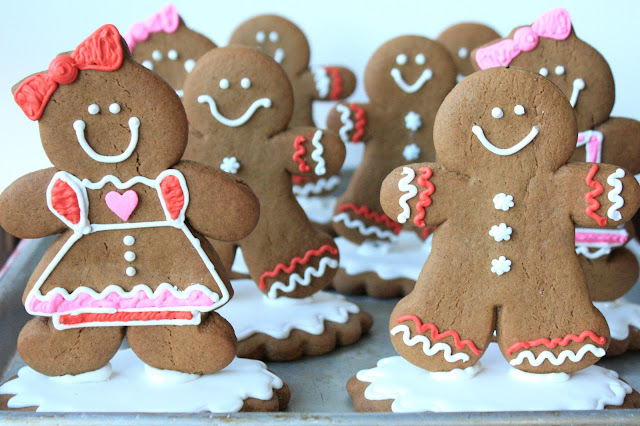 I have some gingerbread cookie dough set aside (and royal icing) in the fridge so that we can do some baking together, and I can't wait! 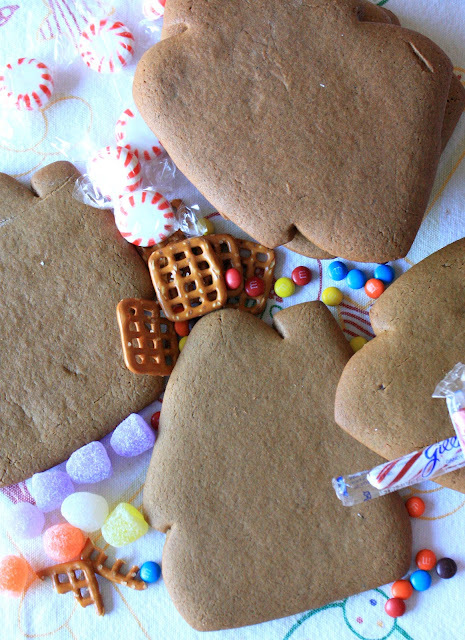 I also have some of these, in case they feel more like decorating a ginger house cookie.. I want to decorate these cute cookies, bag them up with a ribbon and take them (along with our basket of candy canes) to friends, family and neighbors when we go Christmas caroling. Here's all eight of them~five boys and three girls, from 7 down to 1! The cousins are all looking forward to playing together once again! On floured surface roll out cookies immediately (and use cutters for shapes), or store in the refrigerator up to a week. You may place baking sheet with unbaked cookies in the freezer for 10 minutes to help keep the shape while baking. Bake 8-12. minutes. Let cool on pan for 10 minutes. As a mom and grandma, I look forward to all of my family being together and making more sweet memories, and can't help but think of the sad events of last week and the many parents and grandparents that won't be making more memories with certain children (from 6 to 56), each one precious, beloved and missed. These cookies bring them to mind, as a teacher and her students. I hope that the families will hold their own treasured memories close in their hearts, and pray that they will feel comfort and peace from a loving Heavenly Father. The grand-kids are going to love these and feel even more special than you already make them feel. I know they are going to get a big kick out of your Grandma cookie :) Merry Christmas to you and your family Sue. Hope you have a blessed holiday. Great minds think alike!! Toooo cuuuute!!! These are beautiful! I love the lace piping you did! I love your cookies. I KNOW that your grandchildren will too. What a fun idea to use them standing up as place cards. Brilliant!!! 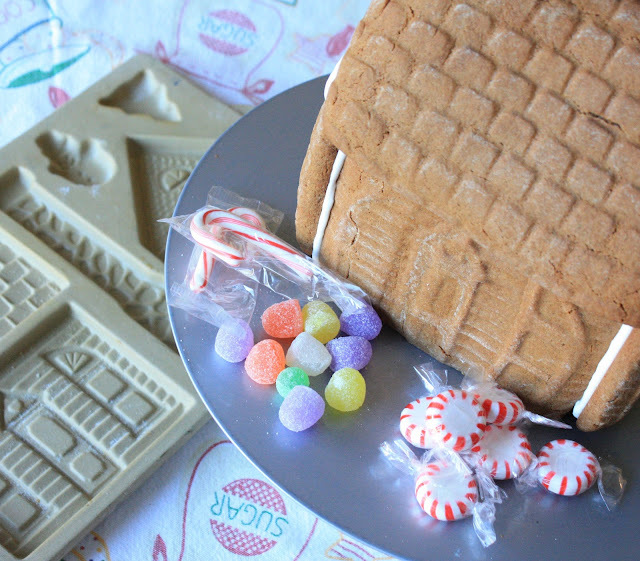 Aww your gingerbread house looks fantastic for your beautiful gingerbread family! Aww what a gorgeous family Sue! And so fitting for you and your grandkids :D Love the dresses! How adorable! You might want to make paper name cards, because they could just possibly be eaten before they sit down! LOVE!! I love these... so cute! Hope you have a very Merry Christmas, Sue! Oh these are so cute! What adorable place cards at the table. 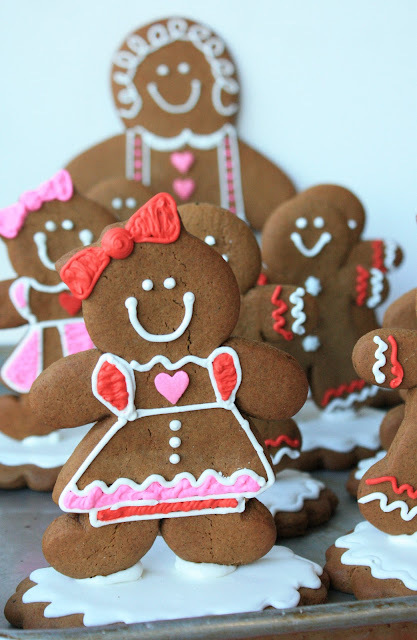 These are adorable, Gingerbread Grandma! :) Your creations are always so lovely. Wish you and your family a wonderful Christmas and a Blessed New Year. 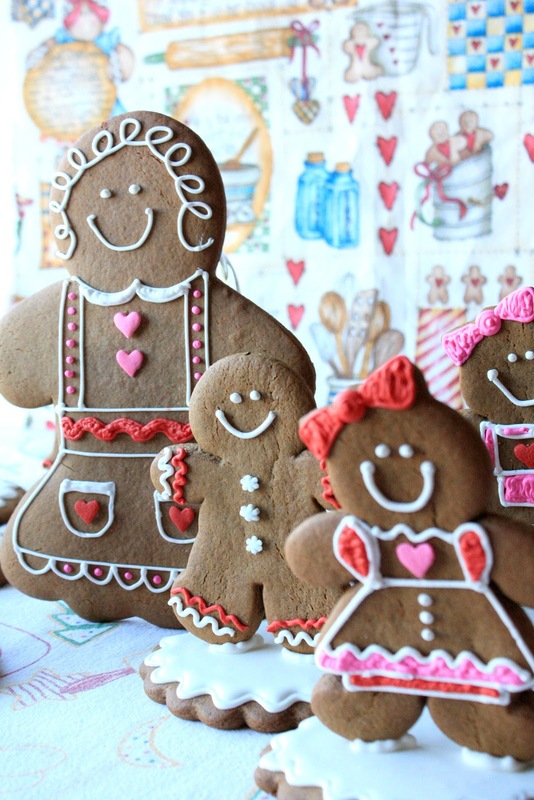 I just LOVE your gingerbread grandchildren, so adorable! I hope you have a wonderful Christmas Sue! Gingerbread grandkids?! What an awesome and adorable idea!! Happy Holidays!! 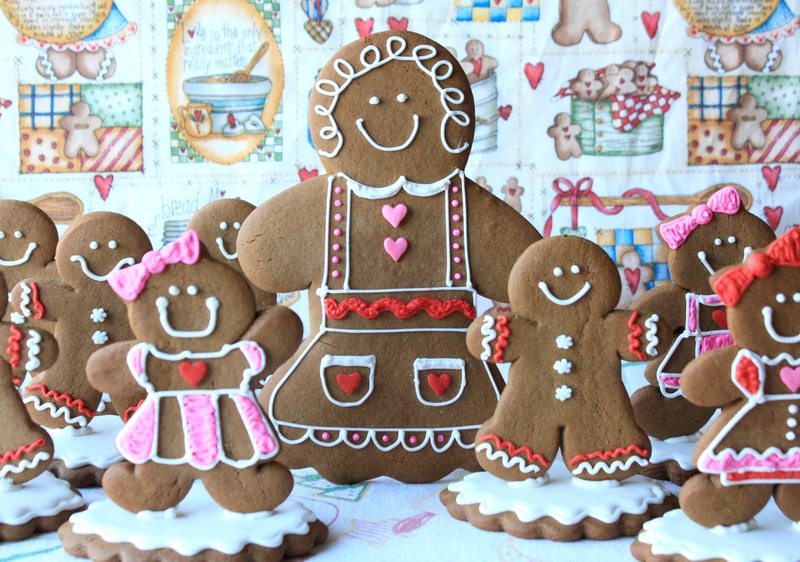 I love the whole gingerbread family and the clever way you have them standing up on the cookie base. This is the cutest idea! Your grandchildren must have been so delighted to see themselves in gingerbread form! Happy New Year to you and your sweet family!